I recently started a new series, Cooking in a Hotel Room, which will highlight recipes that can be created on the road in a matter of minutes. 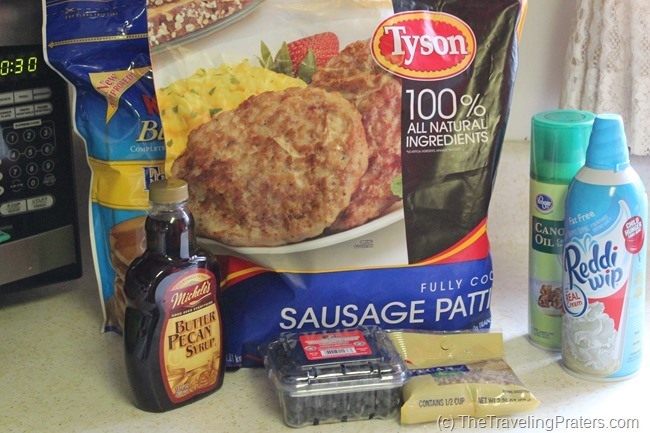 This week, I’m sharing one of the recipes that busy moms can easily prepare at home or as a quick convenient meal in a hotel room thanks to Tyson Fully Cooked Sausage Patties, which are now available at Sam’s Club. 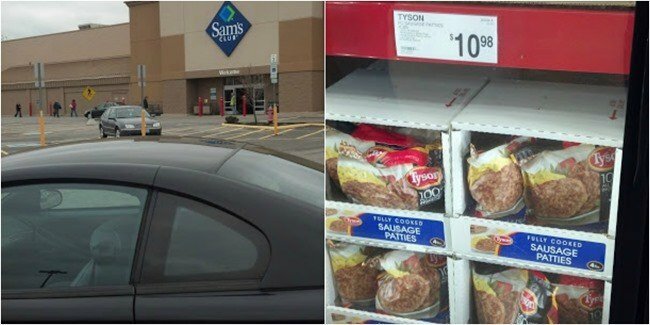 After a busy day of meeting with some Ohio bloggers in Columbus and running my daughter to a job interview, I decided to make a quick stop at my local Sam’s Club last week, to pick up a bag of Tyson Fully Cooked Sausage Patties, so I could review the newest addition to their product line. I easily found the product in the frozen food section with other breakfast foods, so my daughter and I decided to check out the rest of the store. Teenagers never cease to amaze me at what they find amusing. My daughter found a really fun photo op in the middle of Sam’s Club. Curious? Hop on over to my Google + album and see if you can figure out what had her (and myself) cracking up and quickly heading to the check out to exit the store in case any employees decided to throw us out. Once at home, I set out to create the best pancakes ever. When I mentioned recipes that you can create in a hotel room, with minimal preparation, you probably weren’t thinking they would be anything that looked as tasty as this, did you? Let me tell you, it can be done. To recreate this recipe in a hotel room, you’ll need some of the items from your portable kitchen, an electric griddle (which comes in handy when I’m on the road), a plastic spatula, and a microwave (standard in many hotel rooms). Heat 4 of Tyson Fully Cooked Sausage Patties in the microwave and chop with a food chopper or cut into small pieces. Mix the ingredients together and prepare as you would normally prepare pancakes. Serve with Butter Pecan Syrup, whipped cream and chopped pecans. Tyson Fully Cooked Sausage Patties made this a quick, filling and delicious meal that can easily be prepared at home or in a hotel room in less than 30 minutes. My family rated this meal an 8 out of 10, which thrilled me to death, because they’ve never been overly fond of pancakes. Sam’s Club is currently offering demos of this product in their stores so you can try this product and see how delicious it is for yourself. You can also follow Tyson on Facebook and Twitter to learn about this and other products that the company offers. What type of meal would you create with Tyson Fully Cooked Sausage Patties? Would you recreate this meal in a hotel room? Disclosure: I am a member of the Collective Bias® Social Fabric® Community. This content has been compensated as part of a social shopper insights study for Collective Bias® and Tyson #cbias #SocialFabric. The recipe, Blueberry Sausage Pancakes with Butter Pecan Syrup, and all opinions are my own. This is fascinating to me. I never thought of what meals you could make in a hotel room. 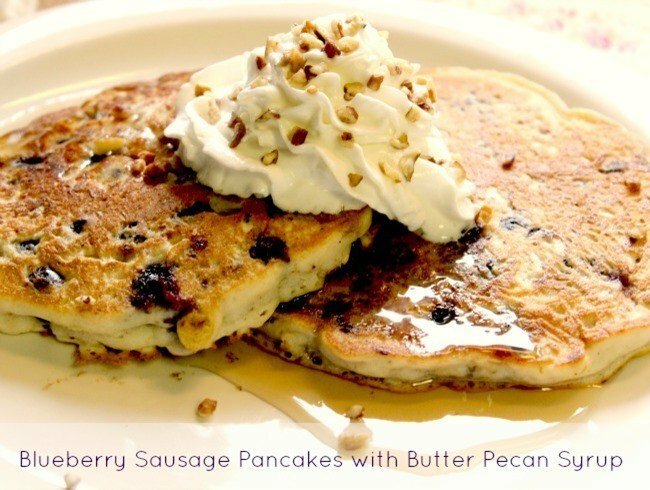 I love the idea of blueberry pancakes and putting the sausage in just makes it more of a meal. This is amazing! I never thought of putting sausage in (with blueberries, even!) but it’s a really interesting idea, for camping too, like Shannon said! How did you fry the pancakes in a hotel room? 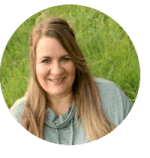 Do you have an electric griddle you pack? Or did the room have a stove? Yum! I’d totally make this camping too. It looks like a great grab and eat type breakfast or snack too – love how the sausage adds protein and flavor to the pancakes. My boys would love it! You’re right, Shannon, this recipe would be super easy for camping as well. I also thought it would be great to make pancakes ahead of time, freeze and just pop in the microwave when you reach your destination (unless you’re camping). Wow – I never would have thought to put sausage in pancakes but that is such a clever idea for creating an all encompassing breakfast dish! I love that you can make this in a hotel room – who would have thought?? Thanks Jillian! These turned out so well that I can’t wait to make them again. They were truly delicious. You’d be surprised at what I’ve made in a hotel room. 🙂 My family just really gets tired of eating out, especially my husband. He still travels a bit with his job and according to him, eating out is one of the more difficult aspects of spending time on the road. 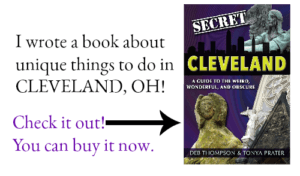 So when we travel, I make it a point to have something quick and easy planned that I can whip up easily. Those pancakes looks delish! I’m curious how you find out about all these things you are a part of? The pancakes were delicious. My family isn’t crazy about pancakes, but they really liked these ones.